The first day of fasting in 2019 is on the 6th of May and continues for 30 days until the 5th of June. Eid ul-Fitr (5th of June) celebrates the conclusion of the thirty days of dawn-to-sunset fasting during the entire month of Ramadan. Note that in the Muslim calendar, a holiday begins on the sunset of the previous day, so observing Muslims will celebrate Ramadan on the sunset of the previous day. The start and end of Ramadan is based on the lunar calendar. Note: The exact dates of Islamic holidays cannot be determined in advance, due to the nature of the Islamic lunar calendar. Estimates are based on expected visibility of the hilal (waxing crescent moon following a new moon) and may vary according to location. 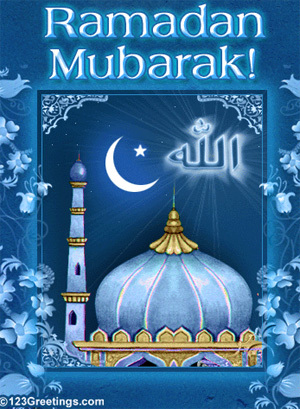 Ramadan is the ninth month of the Islamic calendar(Hijri). It is the Islamic month of fasting, in which participating Muslims refrain from eating, drinking, that is in excess or ill-natured; from dawn until sunset. Fasting is meant to teach the Muslim patience, modesty and spirituality. Ramadan is a time for Muslims to fast (sawm) for the sake of Allah and to offer more prayer than usual. During Ramadan, Muslims ask forgiveness for past sins, pray for guidance and help in refraining from everyday evils, and try to purify themselves through self-restraint and good deeds. The impact and significance of Islam in peoples life must be understood and a visitor with other beliefs must show respect and learn to follow some simple rules. To break the fast in public is punishable. It is punishable by 1 to 6 months' imprisonment, "he who is member of the Muslim religion and ostensibly breaks the fast in a public place during the time of Ramadan, without grounds permitted by this religion". Maroc: agression pour non respect du ramadan, 14 suspects poursuivis. The night of the 15th starts at sunset on the 14th and ends at sunrise on the 15th. "The Prophet (S.A.) had said that during the night of 15th Shaba'an the Almighty takes decisions in the matters of sustenance, life and death and welfare of the people. Next to the “Night of Qadr” the night of 15th Shabaan is the most auspicious night (also known as “night of Baraat”). According to the Imam Muhammad bin Ali Al Baqir (A.S.) and Jaa’—far bin Muhammad As Sadiq (A.S.) the Almighty Allah has promised to fulfill every legitimate desire put forward to Him tonight. During this night Allah (swt) bestows on HIS people from HIS bounty & forgives them out of HIS grace & generosity .Of the blessings of this night is that ,at the dawn of this night ,was born the Leader of the Time Imam e Zamana (atfs) in Samarra -Iraq in the yr 255 AH ." Laylat al-Qadr (also known as Shab-e-Qadr, Laylatul Qadr), the Night of Power, Night of Value, the Night of Decree or Night of Measures, is the anniversary of a very important date in Islam that occurred in the month of Ramadan. It is the anniversary of the night Muslims believe the first verses of the Qur'an were revealed to the Islamic prophet Muhammad. "It is a special night better than 1000 months. 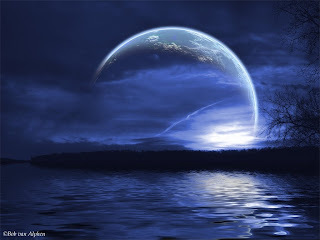 It was the night when the Quran was first revealed - a night in which all our sins could be forgiven." Laylat al-Qadr is to be found in the last ten odd nights of Ramadan. There is no history in the Qur'an as to when the specific date is.Therefore in the Sunni communities of all the Islamic countries, the Laylat al-Qadar is found to be on the last ten nights of Ramadan. Indeed We sent it [the Holy Quran] down on the Night of Power. What will convey to you what the Night of Power is like! by the permission of their Lord for every affair. ............" It is also believed that this night marks their fate in the following year. 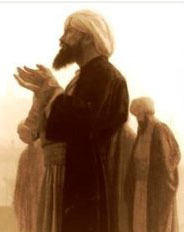 Therefore, many Muslims pray in the night to God for mercy, forgiveness, and salvation. This practice is also called Ehyaa. This "Night of Power" is considered the most appropriate time of the entire year to pray for salvation and blessings. It is believed that a Muslim’s past sins are forgiven if the person prays throughout this night. Many Muslims spend this time of the year studying and praying. Some Muslims spend the whole night praying or reciting the Qur'an. Some Muslims also believe that one who fasts perfectly during the night of Laylat al-Qadr may receive a personal greeting from an angel who will grant them a wish. It is believed that fasting is a way to improving one’s self discipline and physical health, as well as gain spiritual benefits." Laylat al Qadr commemorates the night in 610 CE when Allah revealed the Qur’an (Islamic holy book) to the prophet Muhammad. The angel Gabriel first spoke to the prophet during that time, which marked the beginning of Muhammed’s mission. These revelations continued throughout the remainder of his life, according to Islamic belief. There is a difference of opinion about the date for Laylat al-Qadr but, in general, it is agreed that it is most likely to be in the last 10 nights of Ramadan, with the odd nights being more likely. Of the odd nights, the night of the 27th (which is the night before the 27th of Ramadan, as the Islamic day starts with nightfall) is most likely, according to many Muslim scholars. to take photos in order to celebrate this sacred moment. Before the day of Eid, during the last few days of Ramadan, each Muslim family gives a determined amount as a donation to the poor. This donation is of actual food -- rice, barley, dates, rice, etc. -- to ensure that the needy can have a holiday meal and participate in the celebration. This donation is known as sadaqah al-fitr (charity of fast-breaking). 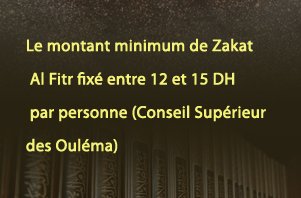 The statement of the Supreme Council of Ulema: The minimum amount of Zakat Al Fitr for the 1437 year of the Hegira(2016) is between 12 and 15 dirhams per person. On the day of Eid, Muslims gather early in the morning in outdoor locations or mosques to perform the Eid prayer. This consists of a sermon followed by a short congregational prayer. After the Eid prayer, Muslims usually scatter to visit various family and friends, give gifts (especially to children), and make phone calls to distant relatives to give well-wishes for the holiday. These activities traditionally continue for three days. In most Muslim countries, the entire 3-day period is an official government/school holiday. Afternoon prayers in a temporary mosque. Section 222 of the Penal Code states that break the fast in public is punishable by imprisonment up to six months.